New York: Dover, 1977 214 pp. Small folio, mostly illustrations. Some wear to wraps and at extremities, pages clean. 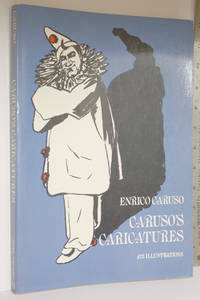 ''A new selection of pictures from three editions (1922, 1939, 1965) of Caricatures by Enrico Caruso, published by La Follia di New York, New York.'' . Wraps. Very Good. 9'' X 12''. New York: Schocken, 1975. pp. 370. Six portraits by Michael Dolen: Roethke, Lowell, Berryman, Rich, Nemerov, Ashberry. Poetry and Meaning--Nemerov; American Poetry Today--Rosenthal; An Interview with Stanley Kunitz; Robert Lowell's Middle Years--Pearson; On John Berryman--Bayley; On Randall Jarrell--Mazzaro; On Theodore Roethke--Kunitz; On John Ashberry--Bloom; On Sylvia Plath--Oates; On Adrienne Rich--Boyers; An interview with W. D. Snodgrass; On Charles Olson--Pops; On Beb Belitt-Landis; An Interview with Galway Kinnell; On W. S. Merwin--Lieberman; On James Wright--Molesworth; On Howard Nemerov--Kiehl; On James Dickey--Silverstein; The New Surrealism--Zweig; On A. R. Ammons--Waggoner; On Alan Dugan--Boyers; On Elizabeth Bishop--Gordon; On David Wagoner--Pinsker. . Second Printing. Trade Paperback. Very Good. 8vo - over 7¾" - 9¾" tall. London: Allan Wingate, 1948. Orange cloth. 127 pp. Spine dulled, bent, but not rubbed. Generally quite clean. Pages overall browned, but retaining a degree of suppleness. 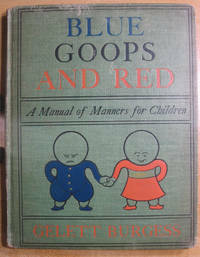 Numerous illustrations. . First Edition. Cloth. Good+/No Jacket. Illus. by Nicolas Bentley. 12mo - over 6¾" - 7¾" tall. New York: D. Appleton and Company, 1872. 283 pp, 4pp advs. 8 plates by Gaston Fay, incl. frontis. Four Books, complete in one volume. 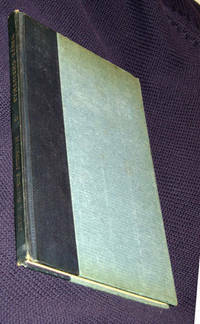 A reprint of the 1867 Appleton edition. Corners bumped and frayed. Some slight evidence of dampness on boards extends only to end papers. A bit of foxing around plates. Fragment of acid paper bookmarks page 7. 'A young girl of extraordinary beauty was sitting before the bureau, on which a single candle burned. Her small, lovely oval head was that of a Venus; the tall, slender and graceful figure, that of a Juno. In conformity with the fashion of that day, her dark-brown and shining hair was arranged in hundreds of little curls, encompassed with a golden band, which terminated on her forehead in a serpent's head. Her eyes--the large blue eyes which contrasted so wondrously with the dark hair--were gazing at the mirror. A sad smile played about her beautiful, crimson lips, as she looked at the reflection of her own figure, at the lovely, rosy countenance, the full and rounded shoulders, the arms of dazzling whiteness, and at the tapering waist, brought out to great advantage by the closely-fitting blue silk bodice. She wore no ornament but the golden band in her hair; her jewels were her youth and her beauty; the tears which trembled on her eyelashes were more precious gems than were ever mined for in the depths of the earth, for these came unsought from the depths of her heart.' -- a description of Marie von Arnim.. Cloth. Very Good-. Illus. by Gaston Fay. 8vo - over 7¾" - 9¾" tall. 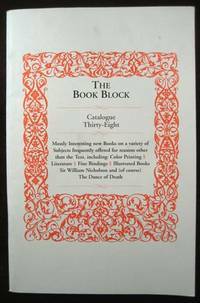 Greenwich, Connecticut: The Book Block 82 pp. 95 items. Over 40 Illustrations. 'Mostly Interesting new Books on a variety of Subjects frequently offered for reasons other than the Text, including Color Printing, Literature, Fine Binding, Illustrated Books, Sir William Nicholson, and (of course) The Dance of Death.'. Wraps. Very Good. 8vo - over 7¾" - 9¾" tall. New York: Century Music Publishing Company 10 pp. c. 1902. Piano solo. Previous owner's signature. some creases at extremities. This is the piano solo as originally composed, in Db major. Berioz orchestrated it (transposed to D major) when the Paris Opera refused to mount a production of Die Freischutz without a ballet number. 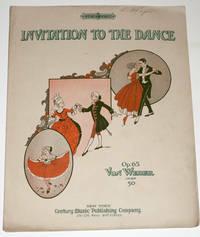 Unsigned illustration with a young girl taking a bow in a pleated dress, an eighteenth-century couple doing the menuet, and a nineteenth-century couple perhaps waltzing.. Wraps. Good. 14'' X 10.25''.